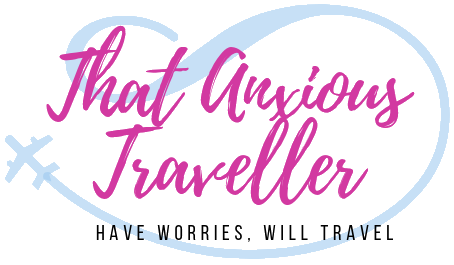 If you’re a regular reader of this page (and if you are, you have my eternal love and smushy kisses), you’ll know how much I love Italy’s Amalfi Coast. And you’ll probably know how allergic I am to paying out large sums of money. But, it can seem like these are two conflicting interests – the Amalfi Coast isn’t an area commonly associated with saving money, or budgets. But did you know that there’s a lot of things you can do for very little cost? And even better, did you know that there’s a lot of things you can do for free? This may seem unlikely if you’ve set foot in Positano or Capri, where you pay a premium for the area’s natural beauty, and the price tags in the shops bring tears to your eyes (which you pretend to passers-by are totally caused by getting sunscreen in your eyes). But it’s true. 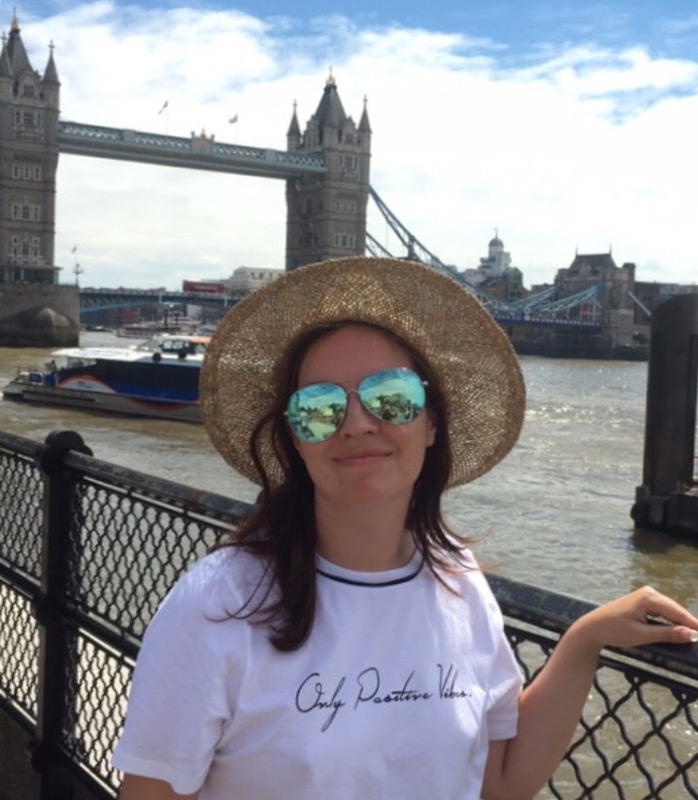 With a little bit of know-how and experience – and as a five-time visitor to the area, I’ve explored most nooks and crannies – you can enjoy this wonderful corner of the world for very little. The best thing of all is that many of the tips I’m going to give you will end up being some of the highlights of your trip, with sights and experiences that’ll live long in your memory. To quote Luther Vandross and Janet Jackson, the best things in life are free. So let’s see some beauty on a budget! It’s next-to-impossible to visit the Amalfi Coast and not soak in the views – and they’re absolutely free. There’s nearly nowhere on the Amalfi Coast where you’ll be charged to enter a particular area just to take in the view; public viewpoints are plentiful and well-positioned – after all, the locals love to look at the views just as much as the tourists do. And, quite wonderfully, there’s something for everyone. Enjoy pastel-colored, sun-bleached houses tumbling down towards the blue sea? Positano is for you. Sunsets over the Bay of Naples, Vesuvius in the distance? Sorrento is the place for that. Amazing natural sights, and the bluest of blue seas? Capri is the one. Views from the highest hills, over mist-filled valleys? Get yourself to Ravello. As you can see, the Amalfi Coast has you covered for whichever landscape you find most pleasing, and you can see them for free. Or even better, do them all, and experience the diversity that this relatively small area has to offer! If you want an in-depth guide, have a peek at my article on the most Instagrammable spots on the Amalfi Coast. You’ll find no shortage of hikes and walks in the Amalfi area, whether it be an established trail or one you plan yourself, and guess what? They’re free! The best-known one is Il Sentiero degli Dei (the Path of the Gods). That Amalfi Coast scenery looks pretty awesome, right? Well, what better way to see it than from way above all the tourists – and indeed the towns themselves! The Path of the Gods, as you’ve probably guessed from the name, is high up in the mountains which rise above the coastline itself. Catch a bus from Amalfi to Agerola (which will be a small cost of a couple of euros) to find the trail start, before walking all the way to Nocelle, high up above Positano. It’s a high-quality hike, with absolutely stunning landscapes to look at – it’ll definitely be a highlight of your stay. If you want to do a completely free walk, just head off on a road and aim towards one of the other local villages; not only can you enjoy the views and walk off all that pasta, but you’ll experience a slice of authentic Italian life when you get there. 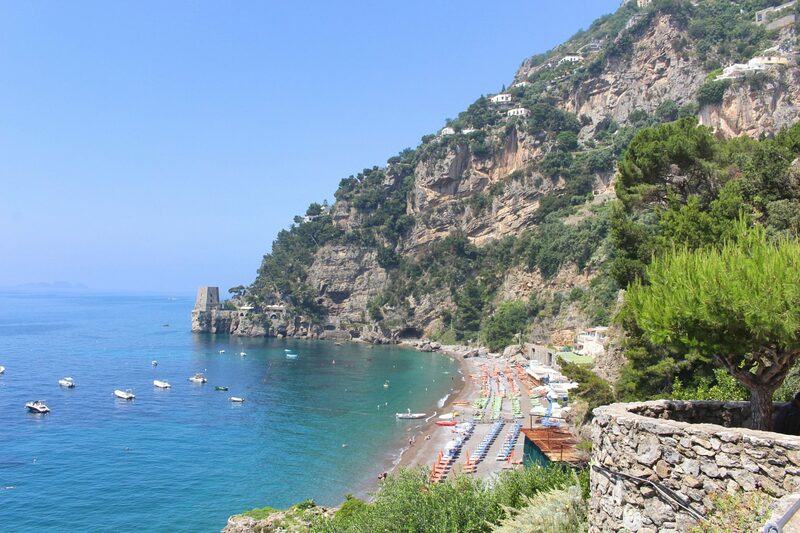 Personal favorites are walking from Amalfi to Atrani, and from Sorrento to Massa Lubrense. Please do watch out for traffic though – the drivers on the coast are very considerate, and will honk you to let you know you’re there, but be sensible on tight roads. Capri is a great place for a free walk – you can walk up to Monte Solaro, the highest point on the island, from Anacapri. Another great choice is Via Pizzolungo on the south side of the island, which takes you past the sights of the Faraglioni rocks, a Roman shrine, and endless shining blue seas. There are some outstandingly beautiful churches on the Amalfi Coast, and they’ll be very welcoming no matter what your faith may be. Entry is free pretty much everywhere, though they’ll certainly be grateful for a small donation. Amalfi has the biggest and best-known in the Duomo di Sant’Andrea – it’s free to enter the cathedral, but there’s a 3 euro fee for the grounds and crypt. The cathedral itself is gorgeous and historic; you’ll find a crowd of visitors permanently stationed outside taking photographs of the Byzantine-style exterior, and the interior certainly doesn’t disappoint either. For a more in-depth look, take a look at my article here. The motherlode of beautiful churches is undoubtedly Naples, and again, you’ll find that entry to them is free. Particular favorites are Gesu Nuovo and Santa Chiara, the former having an absolutely stunning and ornate ceiling, the latter being full of history and notable residents – click here for more on both of these! You may think that football is the most popular sport on the Amalfi Coast. The Beautiful Game may come a close second, but I’d argue that people-watching is actually the most popular sport, and certainly the one most participated in. There are few pleasures in life quite like finding a piazza, finding a seat in the shade (or grabbing a coffee and sitting at a table, if you’re not quite as devoted to free stuff as I am), and simply watching the people going back and forth. I’ve seen and heard all sorts of things, some of which have been amusing memories which have lasted for a long time! Groups of Italian friends chatting, and playing with babies. Tourists darting across roads, dodging cars and horse-drawn carts. And I’ve seen a bikini model doing her thing, and incurring the wrath of an English lady. 1. Piazza Umberto I – Capri. The most famous square on the island (it’s next to the funicular railway, where most people will arrive in Capri Town), it’s the place to see and be seen. Which means that it’s an epic people-watching spot, as tourists, enjoying feeling like a film star for a day, rub shoulders with locals and the occasional actual film star. 2. Piazza Tasso – Sorrento You’ll have plenty to watch here – Sorrento busiest spot has three roads running alongside it, meaning there’s a constant flow of people, cars, and misunderstandings between the two, to keep you diverted. Cafes line three sides of the square, so you’ll have plenty of vantage points if you choose to pay for a seat. READ Pompeii or Herculaneum: Which Should You Visit? 3. Piazza Duomo – Amalfi Situated right outside the Duomo, unsurprisingly enough, you can have a rest here and watch people admiring the views. And with the cathedral above you, and a fountain next to you, you can sit and enjoy the views yourself! If you’re a beach lover, you’ll be spoiled for choice on the Amalfi Coast – and they’re all as free as the sea air itself. If glamour is your thing, then Marina Piccola beach on Capri will be right up your alley. Protected by the peak of Monte Solaro, it’s always warm and still: perfect for sunbathing! And with a view of the Faraglioni rocks and some crystal clear waters, you’ll not want for anything to look at. Or you can pick the other glamour spot on the Amalfi Coast – Positano’s Spiaggia Grande is big, sweeping, and has a view that’ll make your Instagram followers weep. But what if you want something a little quieter? Well, my other pick is also in Positano, but is hidden around a corner from the crowds. Head down to the beach, and where the ferry boats are constantly loading and offloading passengers – if you stay close to the buildings, you’ll see a stone staircase leading upwards. Go up here, and after a gentle walk along the cliff sides, you’ll arrive at Fornillo Beach. Much quieter than its Positano neighbor, but just as scenic! It’s a great choice for if you want a bit of privacy. So, there’s my pick for the best things to do for free! And I guarantee that you’ll love them all – there’s very little about the Amalfi Coast that’s not to love, and you don’t have to spend a ton of money to see them. For those of you who are keen budget fans, I’ll soon be writing an article on some GREAT things to do for under €10, so keep an eye out for that! Tried any of these? Have some picks yourself? Let me know in the comments! Top tip about visiting the churches! Amalfi Coast can be an expensive destination, so loving the reminder of all the free things to enjoy! I love this! Sometimes we get so caught caught up in “what to do” we forget all the free things are right there under our noses!